A Warlpiri community in the Tanami desert are crowdfunding to create an indigenous suicide prevention app. The app, Kurdiji 1.0, will increase resilience in young Aboriginal people by reconnecting them with culture and country. Watch Actor Jack Charles feature in a short video supporting the Kurdiji 1.0 crowdfunding campaign here. ‘Kurdiji’ (shield, in Warlpiri language) is a complete psychological method, used by indigenous people for thousands of years, to increase resilience and prevent suicide. The community of Lajamanu is working with an expert team of technologists to put the ideas of kurdiji onto the phones of young indigenous Australians, wherever they live. This is the first time a traditional aboriginal community has turned to technology in this way to combat the growing epidemic of suicides. 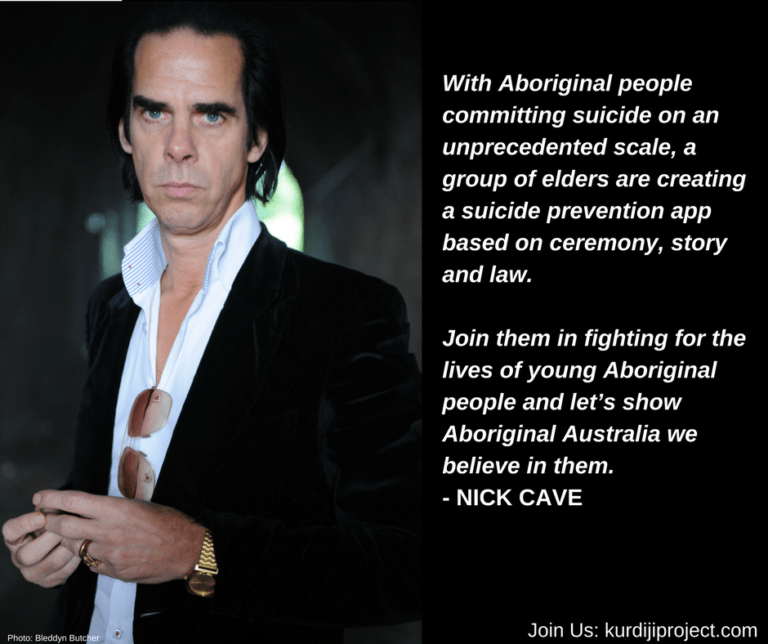 An indigenous person is four times more likely to take their own life than a non-indigenous person with three aboriginal people taking their own lives each week. Head over to the GoFundMe page to find out more and donate here.